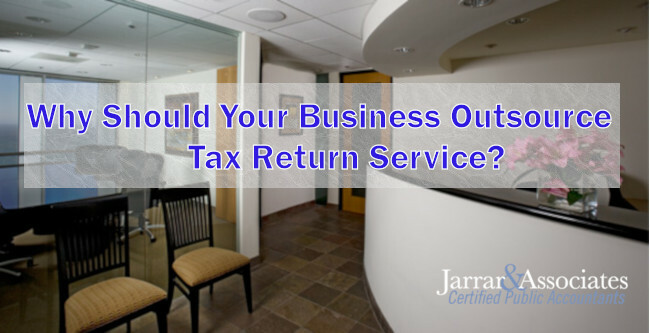 Why Should Your Business Outsource Tax Return Service? Posted November 9th, 2018 by admin & filed under Tax services. As a business owner the thought of filing taxes can make you sweat. Moreover, if you are a small business owner without proper knowledge, tax services in Marina Del Rey can become a cause of tension and worry. Do you find yourself in trouble collecting all the financial and business transaction records at the end of a year? In that case, hiring professional CPAs can actually come to your rescue. Preparing last minute tax returns is not only difficult, but also expensive. In fact, recruiting seasonal professionals and then managing them for a short period of time add to the woes. Instead of such problems, you can outsource it by sending all the documents to a skilled CPA. How does Outsourcing tax services in Marina Del Rey Help? Made up your mind that you need well-trained and experienced professionals to do the tax filing task? Well, there is nothing like hiring a professional since they are expert in dealing with small business and big business tax services in Marina Del Rey. – The number of CPA is not few, but with the ever changing rules for tax services, it get might get difficult finding the right CPA. In such a case outsourcing is the best thing to do. You would get various CPAs under the firm ready to offer the right assistance. – Many big businesses outsource CPA for tax services not only because they didn’t find any local professional, but to save money. The same applies to many small businesses as well. In fact, after you have outsourced the tax services Marina Del Rey, you can clearly see the benefits. Moreover, the fixed costs would turn into variable ones and the business would be able to redirect funds for better productivity. – When outsourcing tax services you would get a fast turnaround time. In fact, in some cases, it could also be 3 hours to 6 hours. The main reason for this is the wide availability of CPAs. More experts are ready to offer you the fastest result in the nick of time. – No need to worry about keeping all essential documents safeguarded and worrying about losing it. When outsourcing tax services in Marina Del Rey, the CPAs store all the tax related documents online. Finally, for a hassle-free and smooth functioning of your small business, it is important you consider outsourcing tax services. It is time saving and cost-effective. Moreover, the CPAs have the skill to offer the right assistance to any business and any industry.